No matter the relationship, it is important to know how trust works. 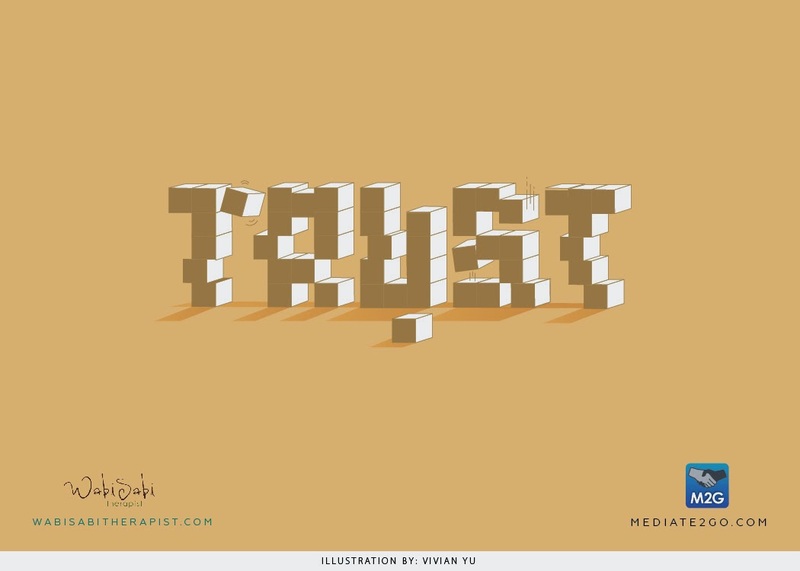 Trust is considered the ‘glue’ that maintains relationships. On the one hand, trust is defined as being responsible for someone or something. On the other hand, it requires that having confidence in another person, without requiring evidence of the desired action. When trust is not present, conflict takes on a destructive path, making the resolution of issues even more challenging. [i] Without trust, “bitter conflict...generates animosity and pain that is not easily forgotten; moreover, the parties no longer believe what the other says, nor believe that the other will follow through on commitments and proposed actions”. [ii] Trust also becomes important when analyzing a situation that might require action within an organization. Also, visit our other post about How to Rebuild Trust. At the level of ourselves, trust is “…a belief, expectancy, or feeling deeply rooted in the personality. [iv]” This means that the way we were raised or treated as children impacts how we trust today. Trust is also based within and between organizations through the expectations we hold about our future interactions. [vi] Say you’ve been treated poorly by a co-worker, you may no longer trust that individual because you are likely to expect the same treatment in the future. Calculus Based Trust is a model of measuring trust based on a calculation of the threats or risks involved if trust is violated or the rewards gained if its maintained. [vii] So, a way to improve trust within a relationship is to express and share experiences and learn about the other person, as this can confirm what we know about them. [viii] Analysing and building trust is an important step to prevent conflict as well. However, unlimited trust within organizations is not the ideal. Sometimes distrust can be natural within work relationships. Indeed, “elements of trust and distrust may peacefully coexist, because they are related to different experiences with the other or knowledge of the other in varied contexts”. [ix] While a manager and employee should have basic levels of trust between one another, there should be some boundaries in order for the manager and employee to fulfil their roles and mandates. This is why some people get into complicated issues when they start to date someone at work. Search: #Calculus-Based-Trust, #conflict-resolution, #definition-of-trust, #trust-in-organizations.